REV. DR. JERRY LYNN is a graduate of the Albany Academy, Princeton University, Albany Law School, and Luther Rice Seminary. He holds Bachelor of Arts, Master of Divinity, Juris Doctor, and Doctor of Ministry degrees. After serving as an Army Captain in Viet Nam, he was the managing partner at the Albany Law firm of Lynn, Lynn, and Miller for 13 years. 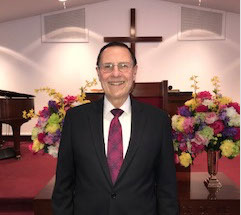 Jerry received Jesus Christ as His Savior and Lord in 1978, and was ordained by the Calvary Chapel Outreach Fellowships in 1983. That year he started Calvary Chapel of Albany, with his parents, Mort and Verna Lynn. The church became Reach Out Fellowship in 1996. Jerry is the lead teacher, covering the entire Bible verse by verse. REV. 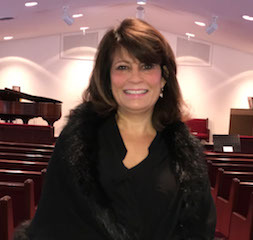 KELLY LYNN, Co-Pastor, Ruling Elder, and Trustee at Reach Out, is also a licensed and actively practicing Registered Nurse. She was educated at Shaker High School, Maria College, and Aspen University. She has loved and served the Lord Jesus Christ for most of her life. She became ordained by Reach Out Fellowship on April 24, 2016. Kelly oversees a number of church ministries, including women's Bible studies and activities, prayer, worship, fellowship, and counseling. She works closely with her husband Jerry in all aspects of church ministry. 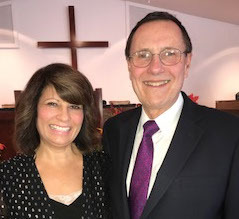 JERRY AND KELLY, in addition to co-pastoring Reach Out, have a teaching ministry on YouTube and television entitled "Reach Out with the Lynns". 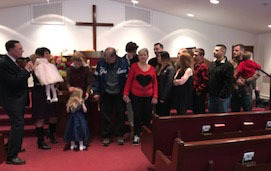 And along with their busy church life, they have an active family life, with 6 children, 5 grandchildren, and numerous dogs and cats. 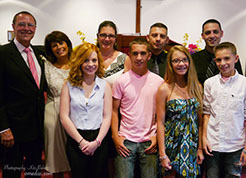 They love serving the Lord, their family, and their church family. For them every day is exciting, as they see the Lord's mighty hand at work. Pastoring at Reach Out gives them the opportunity to be readily available to any and all. Feel free to "reach out" to them. They and the believers at Reach Out will do their best to minister God's love and blessings to you in Jesus' precious name.